I'm a bit behind in blogging about meeting my favorite jewelry designer. 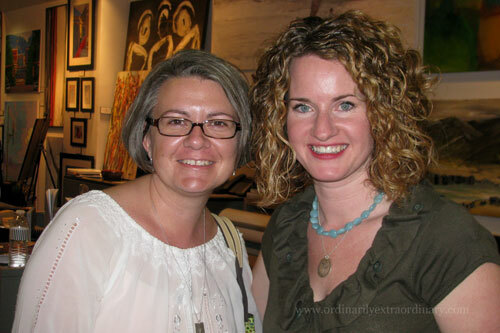 Lisa Leonard was in Alabama and asked Rachel of Alabama Bloggers and a couple of other bloggers to host a meet-up. It was the day before my sister's wedding so knowing I would be in Birmingham anyway I figured out a way to get to the meet-up. I love both the Be Still necklace as well as the mini open circle necklace. The pieces are perfect for me. Simple yet meaningful. I’m so glad you were able to come – it was wonderful, as always, to see you!! And meeting Lisa was a treat, wasn’t it?